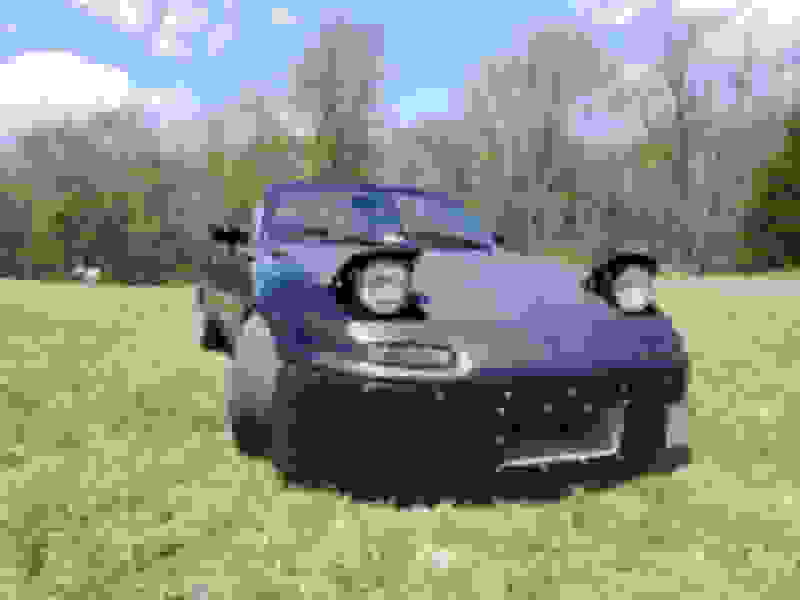 Finally my 1st (water cooled) turbo build - Page 39 - Miata Turbo Forum - Boost cars, acquire cats. some investigation today- Tops of pistons look fine, as viewed from the plug hole with a flashlight. plugs 1 & 3 look good, 2 & 4 have not been firing. I am running batch fire ignition, Dwell set @ 3.5ms.. maybe the coils took a dump? This is the same condition I experienced a year ago, when I decided to swap turbos. I had chalked it up to the 40% leakdown, apparently maybe not. I guess Ill run a test in TS to check spark output, but that only narrows it down to what I already know, I think. wiring, coils..time will tell. EDIT: wire harness to coils checks out good. Last edited by ryansmoneypit; 11-01-2017 at 08:54 PM. Found that on the oem harness plug to the coils, one of them had been severed, but still covered by shrink tube. So, intermittent power to a coil / pair. The good news is that in my quest to find this problem, I converted to full sequential ignition. I guess I should also be thankful that these things are popping up at home, not at the track. on a side note, I also noticed that I have a very noisy signal for battery voltage. I am grounded out on the front of the engine with all of the other grounds. Put a few hundred miles on the car and it runs fantastic. 16 psi on a 6258 EFR is just insane. I didn't know you were allowed to have a running car. Wtf? Well after the V8R crooked engine debacle, she is finally out strutting around. Everyone should at some point, get to drive an EFR miata on 20psi. It's just amazing. New SuperMiata race alignment is fantastic, so much fun to drive now. Sooooo, who want's to buy the engine/turbo package? To fund K swap. If enough interest is shown, its all up for sale. To be completely honest, this thing is too fast for the street for the state of Virginia. It has to be driven with street bike mentality. I cant drive it after 1 beer. Had my wife drive me home in it last week (cause i had 3 beers) and my town looks like a commercial runway now. 100 foot black stripes at every intersection and gear change..She thought it was fun, i was looking out the back window the whole time for cops. 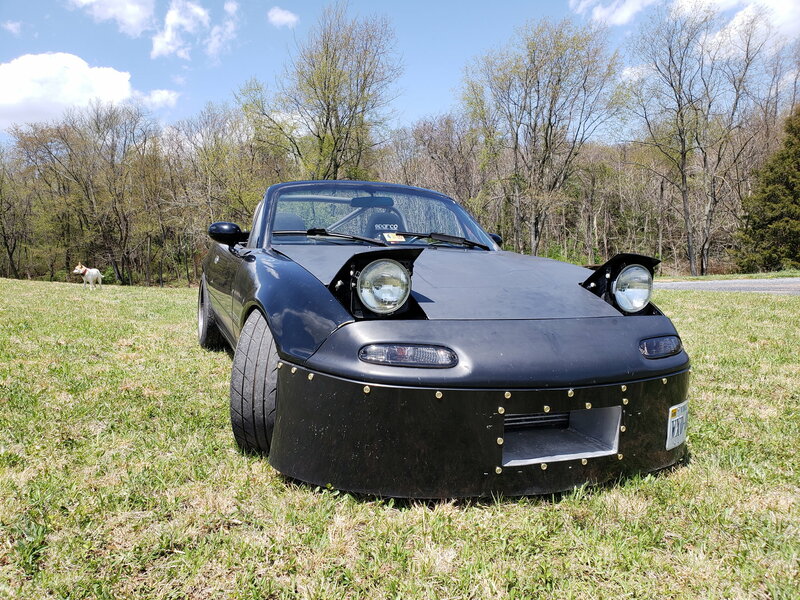 To be completely honest, this thing is too fast for the street for the state of Virginia. nonsense, I need an LS coil bracket. Sounds like she should take you out for 3 beers more often!